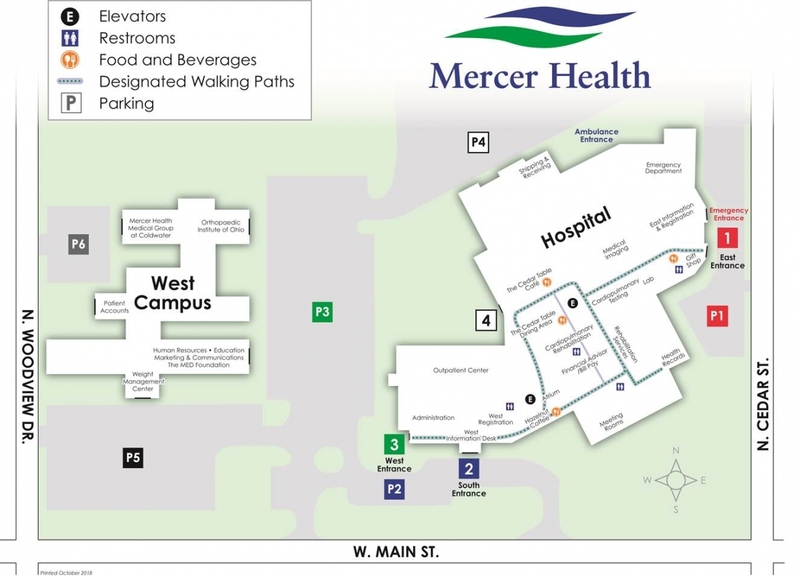 We look forward to serving you at Mercer County Community Hospital. Please refer to the guide and map below for information on where to park and enter the hospital after the opening of the Sanderell Family West Wing. After entering the hospital, please proceed to the nearest Registration Desk. For additional information, please contact Mercer Health at 419-678-2341. Services are also available in several other locations throughout Mercer and Auglaize County.